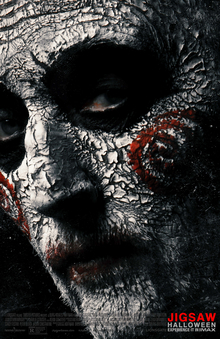 "Saw: The Final Chapter" was the seventh and supposedly last film from the blood-filled horror movie franchise. However, "Saw" has been revived for an eighth movie, but it is yet to be confirmed if this will be a remake or a sequel to "Saw VII." The eighth installment of the "Saw" movie franchise is slated for an October 2017 debut, and it might feature the return of Jigsaw, played by Tobin Bell. Saw 3D was intended to be the final film in the Saw franchise with the film being split into two parts. However, Lionsgate Films only allowed the filmmakers to make one more film after Saw VI under-performed at the box office. According to Saw 3D writers Marcus Dunstan and Patrick Melton, because of the change, "the big reveal of Dr. Gordon was a bit underserved ... Perhaps creating more questions than answers. There were several ideas we never quite figured out. But I don’t want to say what they were, because you never know what might happen in the future."